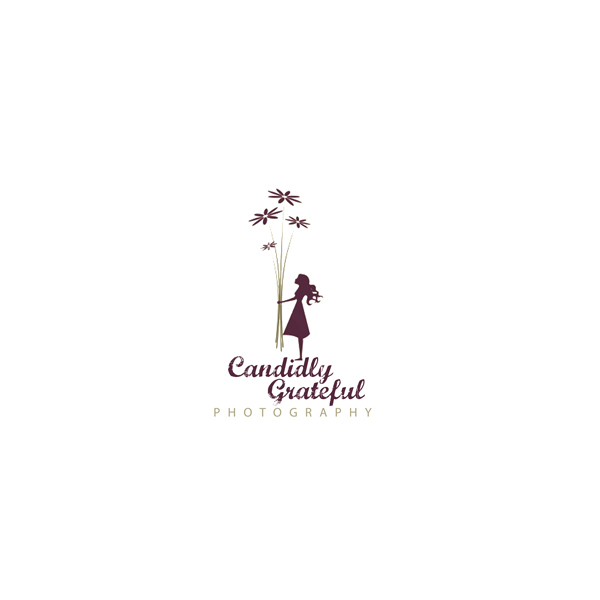 Candidly Grateful: Need Some VOTES! I'm trying my hardest to come up with a logo for my photography buisness so I thought I would come to you for some help. For some reason I can't settle in on one. Pick one or pick none but please comment and let me know what you think. I need to move on to the next thing to get this buisness up and running. I love the last one!! The first one is nice as well! I like the third one... gives a sense of gratefulness. Great designs babe! All three of them are great! But I think I'm with Phil... the third one does give a sense of understanding your place in the overall plan and honoring God as the one in charge! I think the first one is so unique, it would always be identifiable as yours. I really like the second one a lot, but it would not be instantly recognizable, except that the name is unique. The third is unusual, and gives a sense of the subject being important, but it doesn't seem as... grown up? professional? as the other two. I think they all express your creativity - even beyond photograpy, which, of course, sooo enhances your work. That's the thing that will set you apart. You see things in such a unique way. You capture the spirit of a moment. Hey, that would be a great tagline for you! "Capture the spirit of a moment". That's what you do. I vote for the 3rd one. I love the symbolism of it. I like the third one for sure. i like the 1st one...i knew it was "yours" right when i saw it, before even reading the blog. I like them all, but the 1st one just seems to stand out! I really like the third one, because it goes along with the words you chose. The picture reflects a humble person who is appreciative of where she is in life. :))) The other two are nice as well. All great designs! I'm torn between the first and third one. I loved the first one immediately and thought whatever I see next will not be as good as this one. It's good and simple, not too much going on with it, but just enough to draw your eye and remember it. I love the third one for all the reasons others have posted - the symbolism, etc. It doesn't feel as professional and succinct, but I love, love, love the design. Tough choice! I, too, see a toss up between the first and third. I think the first one is loud and demands attention. However, the third one is timeless and sweet, also memorable. If you want to make it more attention-getting, you could flare up color on the flowers or in your business name. The question is, how do you want your logo/business to define YOU. :) Excellent design work on all of them! Love! The third is my vote too!!! Jaime I'd have to say the third one. I like the third one the best. It is so sweet and best describes who you are!